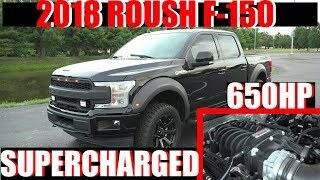 Today we install a Roush Supercharger on a 2018 F-150! 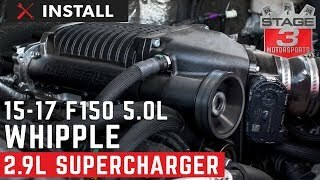 The Supercharger is a ROUSH/Ford Performance TVS R2650 Phase 1 Supercharger System. 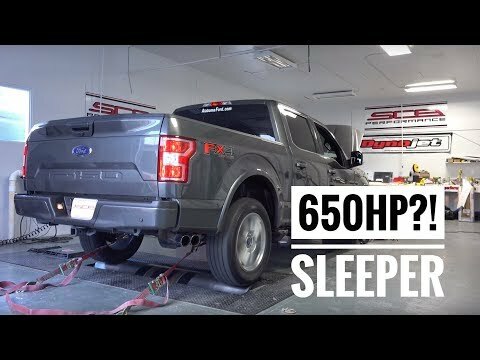 We take this supercharged F-150 specs and we take it to the Dyno! 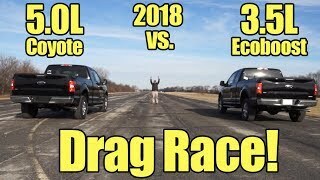 We also show you a reaction video to the acceleration! 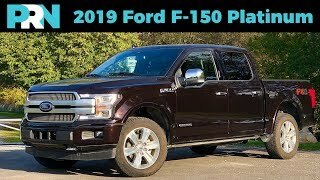 This supercharger fits all 2018-2019 F150 5.0L V8 (all trim levels, cab configs & wheelbases). It produces 650 HP & 610 ft-lbs (+255 HP & +210 ft-lbs over stock). The supercharger has an R2650 rotating assembly along with newly-designed, high-flowing front inlet and outlet ports that greatly enhance thermal and volumetric efficiency across the entire RPM range. In this kit, you will also get a custom, all-aluminum high efficiency intercooler and low temperature radiator along with high capacity degas bottle provides substantial cooling technology. The blades on this Roushcharger have a 170 degree twist (vs. 160 on previous 2300). This kit comes with a ROUSH Performance calibration included, and it is ultra reliable! This whole package has a 3 year/36,000 mile warranty from when your vehicle was brand new! So I guess if u want 650hp u have to get a 800hp rated super charger????? do a level 3 supercharger!! also, give one away so i can win :D but, you have to make it available in Canada, Please! I suggest you change those POS HANKOOK TIRES that absolutely ruin the handling and ride of the truck. Just replaced tires on my BN 18 Lariat with Michelin Defenders and you would think it’s another truck. Greatly improved braking which that truck will need. 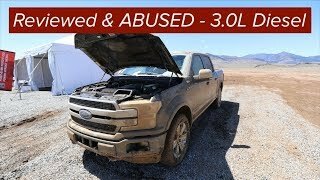 Shame on ford for using such a poor performing tire for the road. Exactly and I know that adds up when your selling 100s of thousands of these a year but cmon Ford. The sticker on my truck was $64k and they can’t spend another $100 on a decent tire? The test drive was so bad I considered buying a ram w air suspension. You really need to change your title to say 500 HP supercharger. You’re only off by 150 HP. 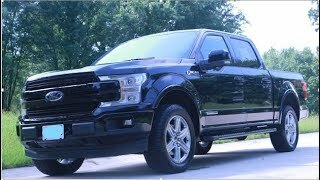 Very interested in a 2018 Ford F150 Roush blue model. Will be in the market in a year and love to meet you about, and see what you recommend. Keep up the great work !! How does this setup affect the auto off and start when you come to a stop light? It works just like it would if it were bone stock. Might as well go with Whipple. 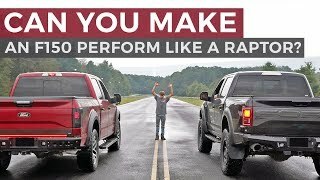 What’s the difference with the regular f150 and the roush f150? How much for complete system installed, and does it void the warranty?. I’m assuming this doesn’t affect the warranty? It ONLY made 500 where's the 650????? 650 is the engine; 500 is rear wheel! It got lost on the dyno. Jay had the perfect reaction. Loved it. https://rover.ebay.com/rover/0/0/0?mpre=https%3A%2F%2Fwww.ebay.com%2Fulk%2Fitm%2F312290268330 this item works good? Or not? We’ve never instllaed an edlebrock Supercharger, so we can’t really comment... but make sure you pick out the right Supercharger... I think that like was for a 2004 F-150 Supercharger. Isn't the truck electronically limited to like 105 mph? What's the point of dumping that kind of cash and completely voiding the warranty when you can barely break 100 mph? Yes. 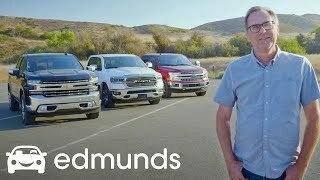 You are right about the truck still being limited. 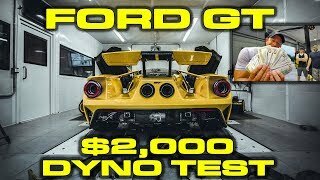 That also affected the Dyno run because we couldn't use the proper gear because 7th gear (1:1 ratio) tops out over 100mph. So technically the real power to the wheels is even better than shown! +Town and Country TV , even with the aftermarket SC install? I thought installing power adders would automatically void the factory warranty. Not bad if it you can retain the warranty. However, you didn't address my point of the truck being limited to just over 100 mph. 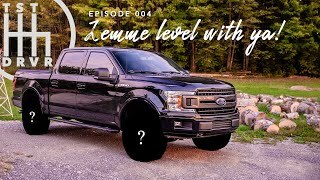 For anyone wondering, I have an F150 Lariat 2018 Crew Cab with the Roush supercharger. My best 0-60 run was 4.0 seconds, usually it is 4.5 or so. You need to brake rev it just right. It is very quick either way, I have had several people pull up next to me at the next red light and ask what was done to my truck. That said, my MPG is abysmal, but to be fair it was before the Supercharger and I have a lead foot. I have 11 mpg if there are a lot of lights and 17-18 highway. Also, to the people saying get the Whipple, HP doesn't really matter... it is all about torque. The 10 speed transmission is only rated for 600ish torque, and torque is what matters. 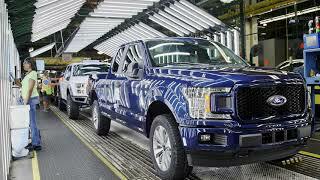 The truck is limited to 107 mph, you can take it off, but the limiter is there for a reason. 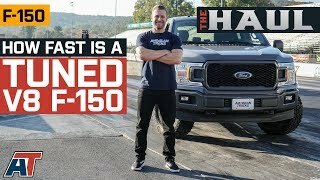 +trapstar13011 I was told its a combo of tire speed rating and the drive shaft is not meant to do it. When my warranty is up I might have it taken off and retuned because at that point it's all on me anyway to fix it if it breaks. I am not going to void the warranty while I have it though. What's the reason it's limited to 107mph? you keep the Go pro .. we want a supercharger for home used..note I,m always pulling a boat..
Wow! That's ALOT of parasitic loss....or the supercharger claims are unrealistic. 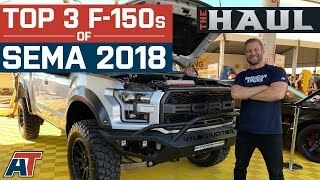 I love how the salesmen say that this supercharger is so awesome, blah, blah blah and that a stock 5.0 is "meh, ok"......but when they are trying to sell you the truck, all they rave about is the stock 5.0s performance and what not. Do salesmen REALLY wonder why people don't trust them? 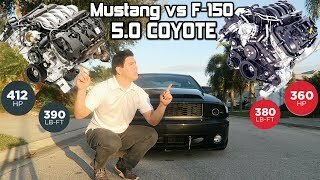 Yeah, and as far as performance goes the twin-turbo V6 Ecoboost engine stomps all over the 5.0 liter Coyote engine. Never trust a salesman, especially a car salesman. That truck is super clean. I love sleeper trucks. Sounds like a stock exhaust. Did you install a Roush exhaust system too? 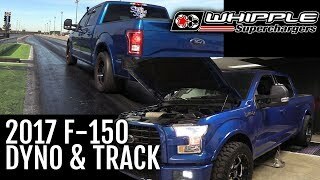 2017 Whipple F-150 on the DYNO and TRACK!!!! 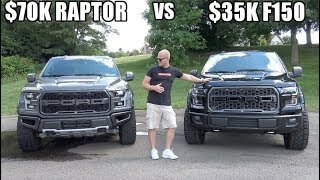 Can you make an F150 perform like a Ford Raptor? My next mod from Roush Performance! 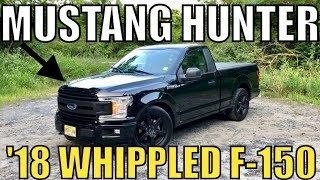 BOOSTED F-150 is a Mustang....Hunter!